For most students enrolled in the College of Education, the program includes four important field practicums – EDST 213, EDST 321, EDST 322, and a 16 week Extended Practicum EXPR 422. These field practicums provide teacher candidates the opportunity to develop their professional identities, connect pedagogical theory and practice, and gain valuable hands-on teaching experience. During your professional studies in the College of Education you will use the Professional Growth Portfolio (PGP) Tables to collect and analyze evidence of your progress toward program goals and outcomes. You will be asked to use your portfolio as a springboard for reflective writing, theorizing and inquiry activities that take place as part of coursework and field study assignments. You are encouraged to keep your records in electronic form for easy sharing with peers, instructors, cooperating teachers and internship facilitators. Deconstruct your observations - that is, reflect on the gathered data to address the general question: What have I learned about the students and their learning needs? During field practicums, partner schools are teacher candidates' professional homes where teacher candidates learn about teaching and learning by collaborating with teachers to enhance student learning. Deepen professional understandings by actively participating in the life of the school through a wide range of activities. Deepen their ability to engage with students, colleagues, parents and administrators. Increase awareness of broader perspectives on education and the community and the school in society. Further develop their professional identities, gain insight into the realities of classroom teaching and evaluate their career choice. Students in the College of Education aspire to high standards of professional practice and ethical conduct. Procedures for students with academic program concerns are designed to honour core principles of respect, inclusivity, integrity, and responsibility. The Field Experiences accommodation plan at the College of Education has been developed to support students registered with AES (Access & Equity Services) during all of their Field Experience courses (practicums). It is an extension of the plan developed by AES and focuses on accommodating teacher candidates that are in the schools. Please make an appointment with the Field Experience team to develop your plan. It is beneficial to make an appointment prior to your field experience course so the accommodation is completed before your time in the schools. Teacher Education programs are responsible to society for providing courses of study that support Teacher Candidates in developing the professional, knowledge, instructional, and curricular competencies necessary for provincial teacher certification as well as to support best practices for teaching and learning in a changing world. The College of Education welcomes diversity, as well as teamwork towards appropriate supports, in order that Teacher Candidates demonstrate the necessary Teaching Competencies identified by Saskatchewan’s Teacher Education, Classification and Certification Board (Appendix A). Competency standards for teachers are described further in the document Teacher Professionalism: A Public Trust (www.stf.sk.ca). 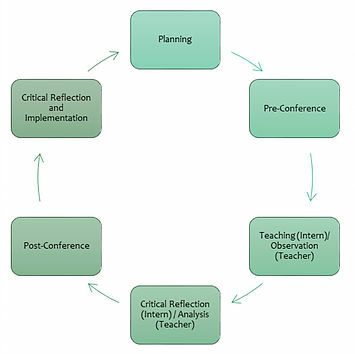 Throughout the Extended Practicum process, Teacher Candidates are required to prepare approx. 7-10 original or substantially adapted formal unit plans of at least 10 lessons each. Units should be made for every class they are teaching continuously. Three of these unit plans are to be submitted to the college facilitator and must be created using the Understanding by Design Model with the hopes that all their units are created in this format.